Dillard L. Williams is one of my ancestors, my paternal grandfather’s great grandfather. He was born in 1821 and, according to Granddaddy, was murdered in 1864. If my calculations are correct, there were 63 other historical figures, contemporaries of his, including 32 women and 31 men, with whom I have exactly the same relationship and about whom I know nothing. So, my interest in Dillard is not so much in whatever I might have inherited from him because of the weak and diluted genetic connection but in what I can learn about our history from the way he died. I wish I knew more about the way he lived. I know about Dillard only because of my grandfather, Richard Hobart Williams, with whom I spent a day in April, 1985, roaming around Cocke and Sevier Counties in the East Tennessee Hills listening to and recording his stories. Granddaddy died two years later at age 90. When I retired fifteen years later, I dedicated quite a few hours to transcribing the tape, resulting in 17 single spaced pages of Granddaddy’s memories. I am so thankful for both the experience and the final result. Here is a picture of Granddaddy taken that day, April 13, 1985, tape recorder in hand. Turn right up this branch right here. This goes up to the old Thomas cemetery where my great grandfather was buried, and his wife. The guerrillas took him out of his home one Sunday morning in ’64, before the war was over with, led him around up here, shot him, left him laying in the road. Grandmother following along behind him. He was a Union sympathizer. He wasn’t a Union man. The guerillas were not rebel soldiers. They were Rebel sympathizers. They were more or less marauders, stealing and killing. Someone they didn’t like, why they’d take him out and kill him. Now turn across this bridge right here. These bridges were not here when they brought him up here to bury him. It was a sad old day of course for the family. Haul him up here in a wagon pulled by a team of horses, maybe a team of steers. This is what they call the Thomas Cemetery. I don’t know where it got its name. This seemed to be a common burial ground at that time. This cemetery was all grown up, and some of the stones was falling over. Alton Jenkins and I, a cousin of mine who was born up here in Jones’s Cove, came up here, and he came back later, and we straightened up the stones and mowed it off and it’s been kept up nice ever since, considering it abandoned, you might say, abandoned cemetery. They still may bury one once in a while, but I don’t know how long it’s been since they have. 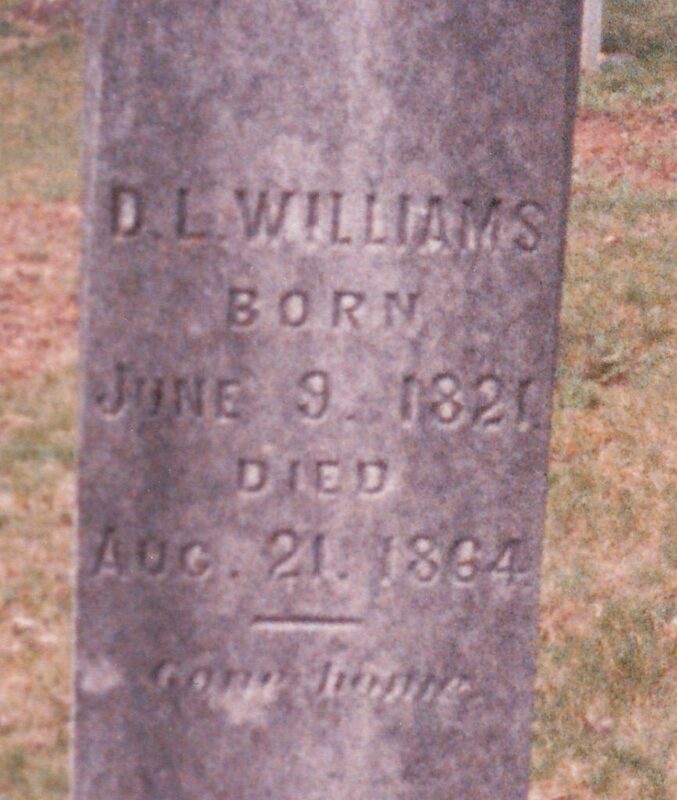 This is D. L. Williams (grave) born in 1821. Guerillas killed him in August of 64. This was my great grandfather. His name was Dillard Williams. My grandfather’s name was William Dillard Williams. (Note: I have another record that says his name was William Monroe Williams.) He was born in 1844 and died in 1908. This is Great Grandmother Julie Ann Williams. Born in 1818, died in 1898. December of ’98. I was a year and a half old. She died about the same time my grandmother died. Now these Webbs here…that was Uncle Milas…married my grandfather’s sister. Williams. And Uncle Perry up here married another one of my grandfather’s sisters. Uncle Milas, Uncle Perry, and my grandfather all went through the Civil War together. The same outfit. He was born in ’40, died in 1915. He was a little older’n my grandfather. My grandfather was born in ’44. And this here is Aunt Nancy…that was Uncle Perry’s wife I reckon. I’ll just repeat it was a sad old day when they hauled my grandfather up here…great grandfather being murdered by a bunch of guerrillas. Of course it was during the Civil War still going on. My grandfather was away in the army. Left my grandmother with four or five daughters and one son yet. And they eventually burned her home. And when they came up to bury my great grandfather they didn’t have a road like this to travel on. Part of the time they was probably right down in the creek bed. They did that a lot back in those days. Just get down and travel right in the creek bed. Course it’d be level there. Rather than travel around over these hills like this here, why they’d just follow up the creek bed. That’d make a pretty good road up through there, you see. Be out of the mud and no hills. Took me back to the death of my great grandfather that the guerrillas killed during the Civil War. 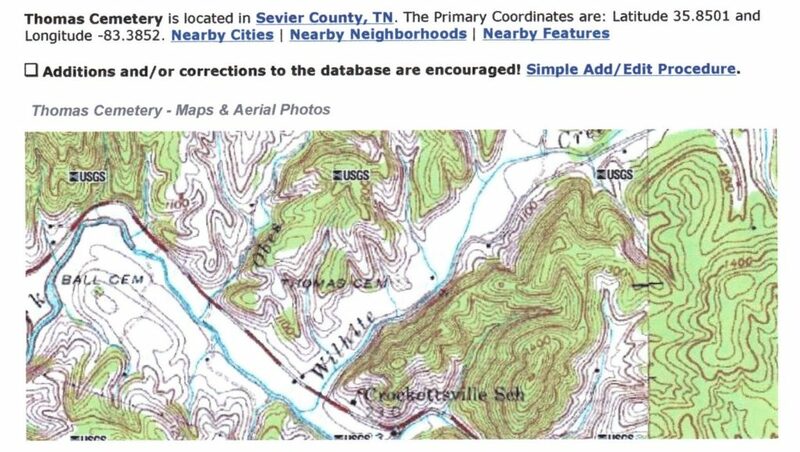 He was living up there in the hills of Sevier County. He’d been scouting out. I don’t know how long, hiding out in the hills. And this one Sunday morning he’d come in of course to get a little something to eat and maybe get a little rest. He was sitting at the window cleaning his pistol they said. He heard horses running, men hollering, shouting, coming up the holler toward his house, and he figured the holler was full of guerrillas so he didn’t want to cause any disturbance there at the house. Figured they’d burn ‘em down. So he dropped his pistol on the outside, came on out, they’s just two men there. Course they led him off down there with my grandfather following him (Mistake. Earlier said grandmother following and grandfather was “away in the army.”), shot him, and left him laying in the road. Well, if he’d known there was just the two men there, of course he’d have fought it out with them, but he figured there was several of them and wasn’t any need of trying to fight them. There may be some mistakes in that story. I’m sure Granddaddy’s memory of the stories he heard as a child were not perfect, but it’s probably as close to the truth as I will ever get about the death of Dillard L. Williams. From reading this, you may say it is obvious and understandable that I would want to have the Confederate flag removed from the South Carolina state house grounds because of what happened to my ancestor. Not so! That is ancient history, and I suspect that if I tracked down those other 63 ancestors who were his contemporaries, I would find some who were ardent supporters of the Confederacy and perhaps even died for it. I wouldn’t be surprised if I found an ancestor of mine involved in killing Dillard. Those East Tennesseans, mostly Scots-Irish, were inclined to fight, I’m told. I’m sure that even descendants of Robert E. Lee and other Confederate leaders also would find diversity of allegiance among their ancestors if they took the time to track them all down. But I would like the Confederate flag removed from the state house grounds for an entirely different reason. My reason is that the flag is a reminder of the worst years of South Carolina history, years about which many do retain passionately opposite feelings, and is nothing more than a divisive symbol that stirs up emotions, focuses us on the past, creates conflict, and keeps us from moving forward. Move it to the State Museum Confederate Relic Room. That is where it can be appropriately displayed and honored. And may Dillard L. Williams and the hundreds of thousands of others who died violently during that terrible conflict rest in peace. 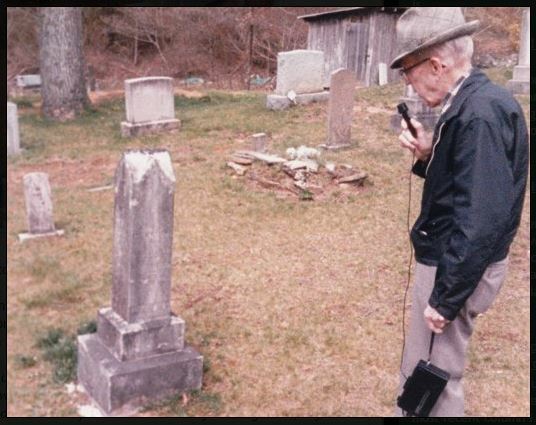 Thank you for sharing..it was so much like listening to my grandfather Jesse Chambers tell of the life in Cade’s Cove and early settlers prior to the Cove being taken as a national park. The pranks, the killing of my ancestors because of sympathies during the war,and life struggles back during that period of our country’s history..I am proud to be a descendant of those brave, and courageous people. They were strong, resourceful pioneers..